The mental health and wellbeing of seafarers are very much coming into focus as a shipping industry concern. A massively important part of this is the issue of community and camaraderie onboard. We look at why this is important and what needs to be done to improve life at sea today. 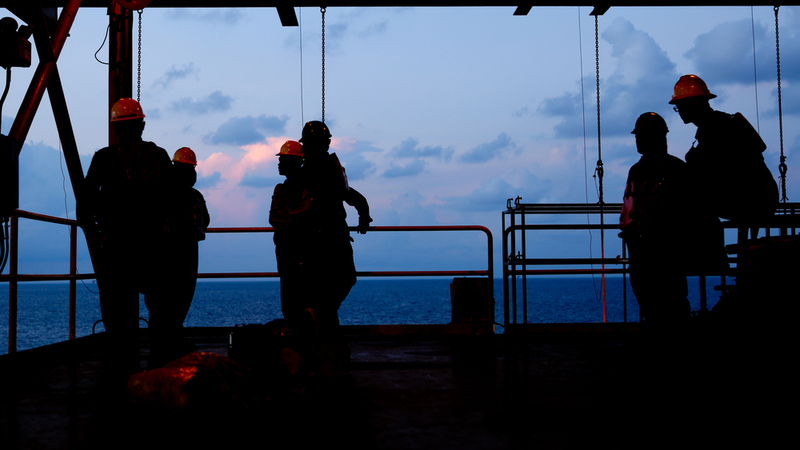 The relationships, interactions and support which seafarers provide to each other onboard are vitally important. Sadly there are often concerns that there is too little interaction onboard these days. Seafarers are criticised for heading back to their cabins and keeping themselves to themselves. The International Maritime Organization (IMO) Technical Officer Sascha Pristrom recently sailed onboard a Maersk container vessel. He stated that work at sea is, “a lot easier when you have fun at the same time”. There are many barriers and challenges to be overcome to help ensure a community onboard, and to put a little enjoyment back into seafaring. It is true that smaller crew numbers obviously make it harder to have the same levels of interactions that seafarers did in the past. The fact that communal spaces have changed too also plays a part. It should also be remembered that with shorter trips and less bonding experiences ashore, the community building onboard does suffer. It is also a fact that everyone carries too much – in your average e-reader, you can have more books than can be read, and on most hard drives more music than can be listened to even in one trip. With games consoles in the mix too, it is perhaps no wonder people can retreat into themselves, via their cabin. It is not simply that there is more to do in the cabin, it has also been stated that perhaps people feel more comfortable in that space which they can cultivate a little to their tastes. 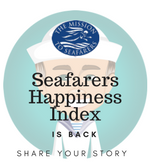 In the latest Seafarers Happiness Index report, comments were made that seafarers feel that many new ships are well equipped, but that the design and finish of ship interiors are too often very sterile and are not seemingly places which make it easy for people to relax together. Areas which are intended for social use are finished in the same manner as every other part of the ship, the same panelling, furnishings and detailing – long gone are the sense of a cosy, friendly space which encourages interaction. In the survey, crew commented that these places, “do not feel like somewhere you want to be”. This could be another reason that seafarers do not feel attracted to leave their cabins as social spaces are not being designed with social interaction in mind. There were also comments that they felt there was a lack of managerial “ownership” about seafarer happiness, wellness or mental health. Even though these issues seem to be in vogue currently, some felt that there needed to be someone named in the company as having clear responsibility for this side of human resource management. It was noted that responsibilities for so many aspects of operations were clearly laid out, but not so the satisfaction of the crew. Who is responsible to ensure the crew are happy, entertained and enjoying their time at sea? No-one probably. It would perhaps have been the Purser in years gone. Then Chief Steward, perhaps the Radio Officer…but these are all roles consigned to the past. They are part of history, not the future of shipping – but some of the roles they fulfilled are still important and are worryingly overlooked. No-one has filled in the vacuum that re-jigging manning levels has meant. The changes in crew have had a massive impact. So too the change in what is acceptable, as smoking and drinking have been taken away they haven’t been replaced. The apparent loss of community at sea is a major part of the mental health problems we are seeing. A community’s well-being is dependent on the quality of relationships among the citizens of that community, in our case the crew onboard. Social wellbeing enhances the overall health of a community. Obviously, most communities have common interests and perspectives, and there can be few interests more common than being on a ship together. However, it seems we are failing and somehow, we need to find the answers to ensure that seafarers see themselves as a crew once more, a team who act jointly to make life better. Keep it regular: Try to find a time and place for people to be able to regularly drop by. Coffee break, smoko, call it what you will. If others know that someone is likely to be in the lounge, saloon, tv room, wherever, then others will go visit. So, try and make it a social hub, even if it’s only for half an hour a day. Connect online to connect offline: It may seem counterintuitive, but people are shy, and are increasingly used to connecting with each other online. So, let them. Even if it is within a small shipboard community, if we can have a social intranet onboard, then people could be encouraged to interact, which will likely mean positives for the group, not just virtually. Instaship – Everything in life is seemingly designed to look attractive and enticing on Instagram. So why not life at sea? There can be few things as wonderful or as majestic as the ocean, a night out at sea under the canopy of the stars, amidst pods of whales. Etc, etc, you get the point. So, we need to encourage these to be documented and shared. Make seafarers see the wonder of their lives through the mirror of adulation ashore – like it used to be. Organise a BBQ – There is one old staple of shipboard life that has sustained, and that is often the dear old BBQ. It works and is a great focal point to try and get people together. If you haven’t had one for a while, pick the best day and get started. People love bonding over burnt meat – fact. Gaming – real and electronic – Games are great to bring people together. So, get some onboard, and use these as an opportunity to even have competitions and championships. Where seafarers are tending to simply play Xbox or PlayStation alone, perhaps try and see what games are being played and post winning scores on a notice board…Gran Turismo lap times and the like, so that people can begin to compete. Perhaps also explore ways of connecting machines onboard through a local area network. So, people can game together, even from their cabins and without the need for being online. Sports – Increasingly ships do have gym equipment, and that is great. However, often seafarers feel it hard to be motivated to use it, or to find the time. Having sports competitions, exercise regimes, and ideas to get people exercising can really be a boost to the community. A sense of competition can get people wanting to be involved, and competitions can be expanded to include fleets or even other companies. Noticeboard – It may sound ridiculous in our modern computer age but having a real noticeboard onboard can be hugely beneficial. Not just one which is full of safety information, but a social one. Explaining what is happening on the ship and encouraging sharing and involvement. Skills Swapping – Whether this is to do with professional skills or ones outside of shipboard roles. It can be amazing to go to sea and learn a new skill. Someone might want to learn to weld or some form of woodworking. Perhaps even learning to cook or bake could be useful and fun? 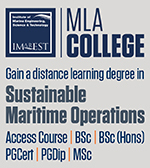 Others may want to learn navigation or how to service outboard engines. Onboard each ship are real experts in so many fields, if we can bring those who would like to learn together with those who can teach, that will really help the sense of camaraderie. Skills for life, not just the ship. 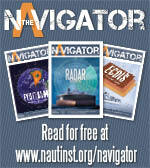 Information Sharing – Encouraging seafarers to talk and share their tales and experiences is handy. We often think about turning to Google for information, but if it was where to get a bus from a terminal to the Mission, or where to get bargains in a particular port, even the internet may be lacking. Encouraging seafarers to develop “Guides to Ports” and assisting each other with getting ashore, that can be a real community building exercise. Company magazines – All too often company in-house magazines are either focused too much on safety and work issues or feature the wonderful goings on in the office ashore. They are not very good at capturing the good things which might be going on, onboard. So, editorial teams should be encouraged to interact with crews and make sure their stories are told. Sharing successes – If seafarers have found something that works, and which improves the sense of community onboard, then they should be encouraged to share it with the company, or even with other seafarers. The issue of community and the benefits it brings to mental wellbeing cannot be ignored, but shipping needs to know what it should be doing and what is likely to make a difference onboard.